Established in the year 2000, we %u201CSatvik Foods,%u201D are renowned manufacturer and exporter of optimum quality range of Flax Seed, Multiseed Mukhwas, Brown Flax Seed, Linseed Flax and many more. Our offered seeds can be used in preparing Mukhwas and as a medicine for diabetic patients, heart patients, BP patients, cancer patients, etc. We are supplying goods to big mega store, super markets and defense forces. Located at Vadodara (Gujarat, India), we are supported by advanced production base that comprises various units such as Procurement, Processing, Warehousing & Packaging, Quality Testing and Sales & Marketing. 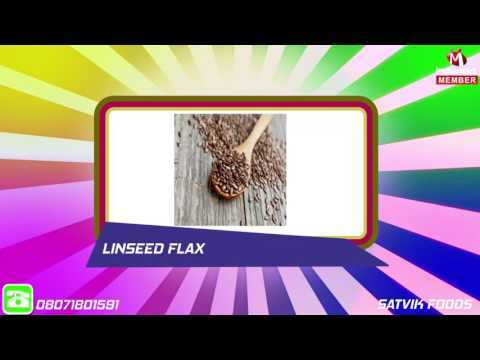 Today, there is a huge market for these types of roasted seeds which contains high ratio of Omega 3, Omega 6, vitamins, fiber and copper that helps in curing diseases like heart attack, diabetes, etc.